Welcome to Techno-Billies: Mystical Symbols? I found these in a local charity shop. They were fifty pence, and because I was intrigued, I bought them. I asked the lady what she thought they were... she didn't know. They were kept with the jewellery so she thought maybe they were scarf rings. I wasn't convinced. There are 12 symbols on each metal ring (although they are not exactly circles in shape), the symbols are on both sides, and I surmised that perhaps they were something to do with zodiac symbols. There is a cross, but not a Christian cross, the arms of the cross are equidistant. There is also a chalice... the rest are simply strange. They are not the regular zodiac symbols and although I did spend a little time searching on line I couldn't find out what they represented. I have come to the conclusion that they must be from some kind of game perhaps and that there is no mystical meaning to them at all. Anyway I made an offering to Inari in the hope that he will look kindly on me and send more blessings my way. Perhaps someone reading this will recognise them and enlighten me? I think you will find them there! I can't help, I'm afraid - but you must tell us if you do find anything out about them. They are quite interesting, though, and I think I would have found it hard to leave them in the shop, too! I haven't seen anything like that before. 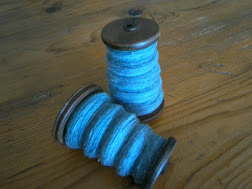 Could you thread a piece of wool or leather through the centre and make a necklace with it. Maybe someone will recognise it and tell you what it is. They are symbols from Alchemy. alchemists use symbols like these to keep people from reading their grimoires.